Mirror Mirror on the Wall.. What is the Busiest Airport of them all? by AirportGyms | Comments Off on Mirror Mirror on the Wall.. What is the Busiest Airport of them all? "Unless you’re visiting Japan or Korea, a delay is practically guaranteed"
by AirportGyms | Comments Off on "Unless you’re visiting Japan or Korea, a delay is practically guaranteed"
Holiday Travel TIme! Weather Delays! Do You Have Your Airport Gym Listing Handy? 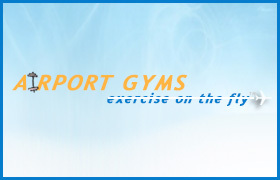 by AirportGyms | Comments Off on Holiday Travel TIme! Weather Delays! Do You Have Your Airport Gym Listing Handy? Soles4Souls – Got Some Old Running Shoes?